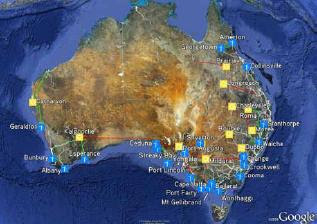 YCAN Event: 100% renewable energy for Australia: What are we waiting for? Come along to hear Beyond Zero Emissions present their detailed blueprint for how Australia can be powered by 100% renewable energy within a decade. The Zero Carbon Australia 2020 Plan is essential knowledge for all Australians. The Zero Carbon Australia 2020 Stationary Energy Plan was launched to a packed out auditorium at the University of Melbourne on Wednesday. 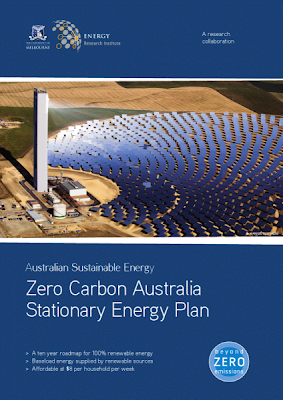 To download the full Zero Carbon Australia Stationary Energy Plan click here (8.4MB). Don’t miss out on this cutting-edge research, which shows how Australia can reach 100% renewable energy within a decade, using technology that is commercially available right now. Great news for all Australians! See media coverage on ABC Radio National PM and ABC2 News Breakfast. YCAN is pleased to be hosting a presentation on the Zero Carbon Plan by Beyond Zero Emissions – come along to see how 100% renewable energy is possible!